Combine the butter, sugar, vanilla sugar and salt in a bowl and mix well. Add the orange zest. Combine the flour, almonds and orange peel, add to the mixture, mix to form a dough, flatten slightly. Cover and chill for approx. 15 mins. Divide the dough in half. Roll out the two halves separately between 2 sheets of baking paper to approx. 1 cm thick, refrigerate for approx. 1 hr. Remove the upper sheet, cut the dough into fingers (approx. 1 x 6 cm), transfer to two baking trays lined with baking paper, leaving plenty of room between each biscuit. Bake each tray for approx. 15 mins. in the centre of an oven preheated to 180°C. Remove from the oven, cool on a cooling rack and dust with icing sugar. 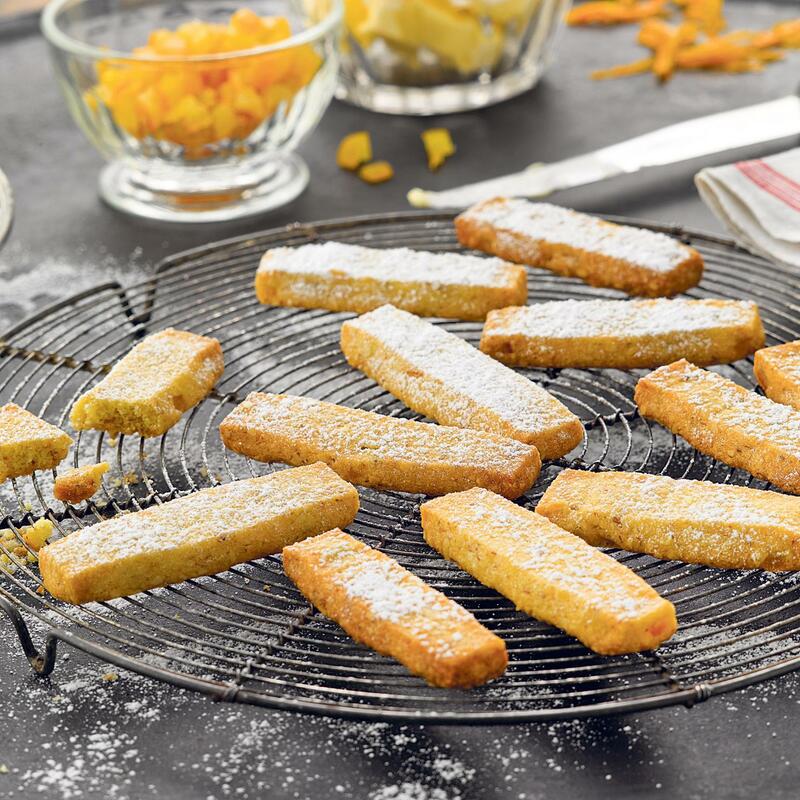 Bake the orange sticks approx. 2 weeks in advance and keep in an airtight container in a cool, dry places.